In a competitive, global environment, organizations of all kinds are facing brand-new challenges and looking for the competitive advantage needed to succeed. That truth used to apply mainly to business, but times have changed. Now, the same thing is true for governmental agencies, educational institutions and nonprofit organizations. Managing Partners Charles and Jan Hayes have served for decades as successful chief executives in organizations including North Carolina’s Research Triangle Regional Partnership, a high-profile economic development agency with a global reach, and United Way of Lee County (NC), an affiliate of the international nonprofit mobilizing communities to tackle their greatest challenges. Now, they’ve combined their expertise and professional networks to create Hayes Group Consulting. And their goal is to help your organization thrive. Whether you’re looking for strategic direction, management advice, lobbying representation or public relations services, the Hayes Group is ready to help you achieve your goals. 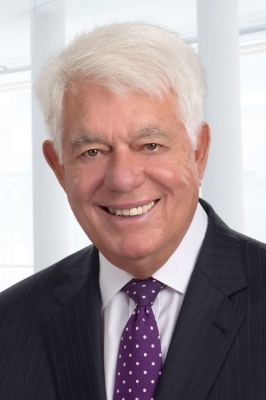 Charles earned international acclaim as president and CEO of the Research Triangle Regional Partnership for two decades until retiring from the position in June 2016. During his tenure, the partnership received a number of awards from international and national economic development agencies and was widely known for cutting-edge initiatives, including the Triple Helix approach to innovation and economic development. Before moving to the Research Triangle Regional Partnership, Charles served in a number of positions including director of a local economic development agency, county manager, business owner and community college instructor. JANET P. “JAN” HAYES, M.A. 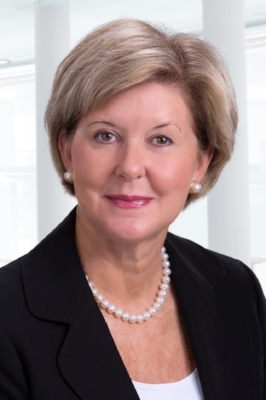 Jan served as executive director of United Way of Lee County for nine years until retiring from the position in March 2016. During her tenure, the nonprofit emerged from a period of instability to one described by the board chairman as having a firm foundation and highly valued position in the community. She currently is a member of the North Carolina Rural Infrastructure Authority, a board within the state Department of Commerce that awards funding for the Rural, Community Development Block Grant and Utility Account grant. She has served several terms on the local school board and Central Carolina Community College board of trustees. Julian is a corporate attorney who has spent the last 30 years working as a lobbyist and general counsel for the nonprofit North Carolina Farm Bureau Federation and its affiliated companies. His experience extends to education, as well, where he previously served on the Board of Directors for Communities in Schools of Lee County and currently serves as chair of the Board of Trustees for Central Carolina Community College, a position he has held for about half of his 12-year tenure on the board. In other economic development work, Julian served for two years in the early 1990s as a member of the North Carolina Commission to Address Smart Growth, Growth Management and Development Issues. Dan is an economic development and business strategist with more than 30 years of experience consulting with economic development organizations, higher education, governmental agencies, the banking industry, the corporate sector and small to midsize companies. He has served in several executive roles at N.C. State University, including senior director for the Office of Outreach and Engagement, and before that was an entrepreneur in the banking/software industry, operating and selling two companies. Dan is coauthor of the book, Your Entrepreneur EDGE™, and is a former adjunct faculty member in the Love School of Business at Elon University. You may know exactly what assistance you’re looking for to move your organization forward or perhaps you have a sense of what you’d like to accomplish want to see what the options are. In either case — or even if you’re somewhere in between — use the form below to start a discussion about how we can help you! Or, you’re always welcome to send email directly to info@hayesgroup.org. So we can be helpful from the start, please provide any specifics that might help us understand your organization, circumstances and goals. Thank you! We’ll be in touch as quickly as possible, but feel free to give us a call if your inquiry is urgent.